38 8th-grade teachers are now piloting the History Blueprint Civil War unit in their classrooms. These teachers are very enthusiastic about the unit so far. I wish I could show you the pictures they have sent me of their students at work! But I do not have parental permission, so that has to remain in your imagination. When the pilot teachers finish, they will send us their feedback on the lessons and examples of student work. We will analyze the feedback and the student work and then revise the Civil War unit a final time. We will publish that final version on the historyblueprint.org website, along with the webinars explaining how to teach it. Teachers will be able to download all the materials and lesson plans in the unit at any time, free of charge. After I’ve lived and breathed the Civil War for more than a year, it’s now time to start thinking about another unit. I’ve decided to start thinking about the Reformation. In California, the Reformation is taught in the 7th grade. This standard, 7.9, falls near the end of year. 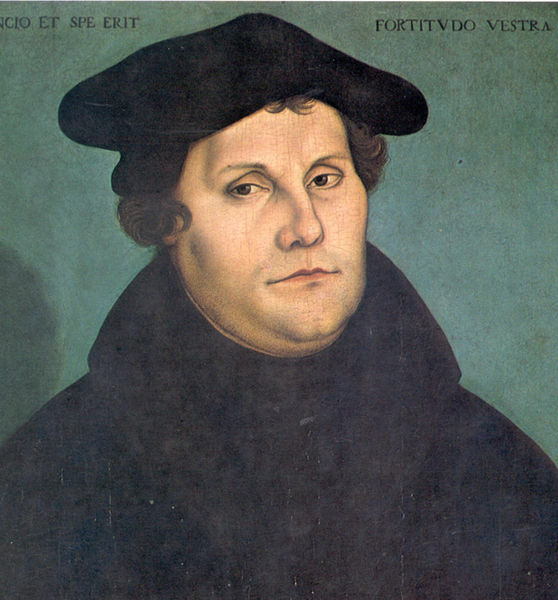 On the survey we took a year ago (see blog entitled “Need for History.”) 7th grade teachers identified the Reformation as a high priority for History Blueprint development. While I’m not an expert, I do know something about the Reformation and its historiography, and I’ve taught it at the college level. To begin, we at the History Project know that we have to identify what we want the students to know. We have to gather information and then frame a historical investigation question for the unit. The first document I need to consult is the California History-Social Science Content standards. Standard 7.9. reads “Students analyze the historical developments of the Reformation,” and it has seven subpoints. 1. List the causes for the internal turmoil in and weakening of the Catholic church (e.g., tax policies, selling of indulgences). 2. Describe the theological, political, and economic ideas of the major figures during the Reformation (e.g., Desiderius Erasmus, Martin Luther, John Calvin, William Tyndale). 3. Explain Protestants’ new practices of church self-government and the influence of those practices on the development of democratic practices and ideas of federalism. 4. Identify and locate the European regions that remained Catholic and those that became Protestant and explain how the division affected the distribution of religions in the New World. 5. Analyze how the Counter-Reformation revitalized the Catholic church and the forces that fostered the movement (e.g., St. Ignatius of Loyola and the Jesuits, the Council of Trent). 6. Understand the institution and impact of missionaries on Christianity and the diffusion of Christianity from Europe to other parts of the world in the medieval and early modern periods; locate missions on a world map. 7. Describe the Golden Age of cooperation between Jews and Muslims in medieval Spain that promoted creativity in art, literature, and science, including how that cooperation was terminated by the religious persecution of individuals and groups (e.g., the Spanish Inquisition and the expulsion of Jews and Muslims from Spain in 1492). What I emphasize about the Reformation is that it was not a discrete historical period, but a social and cultural movement that combined with the growth of the state and the new information from the Americas to have a tremendous impact of the lives of Europeans (and Americans of all types.) While there is nothing about the growth of the state, or how rulers of the states adopted, oppressed, and fought over the new Christian denominations, or the wars of religion that tore Europe apart, two of the subpoints do discuss the impact of the Reformation on other parts of the world, as Catholic and Protestant missionaries carried their ideas to the Americas and Asia. I need to develop an approach that meets the requirements of this standard, follows modern historians’ concepts of the Reformation movement in the Early Modern period of European history, and makes sense to 12-year-olds. More later!